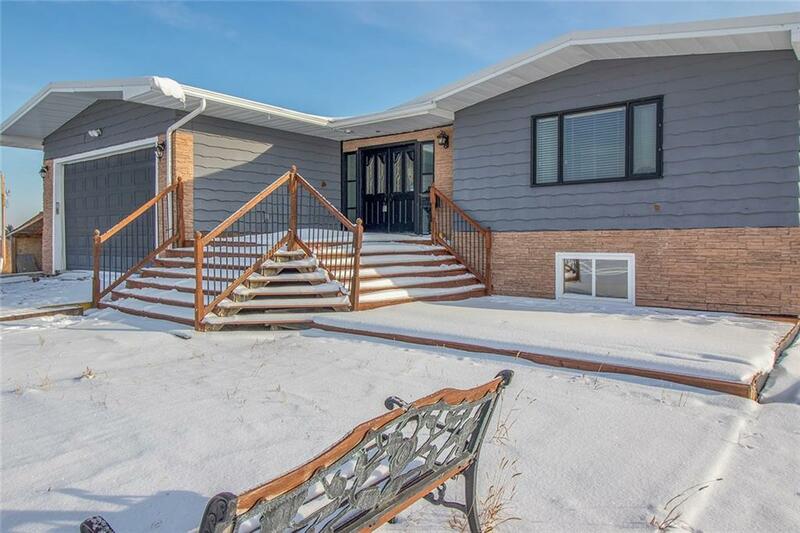 WELL- PRICED IN PRIDDIS! 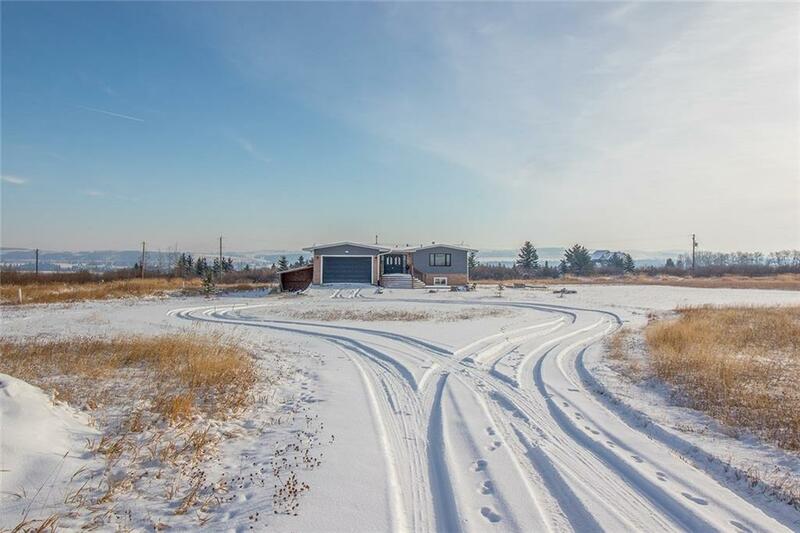 This is a rare and fantastic opportunity to own your own slice of heaven among the beautiful acreages of PRIDDIS! 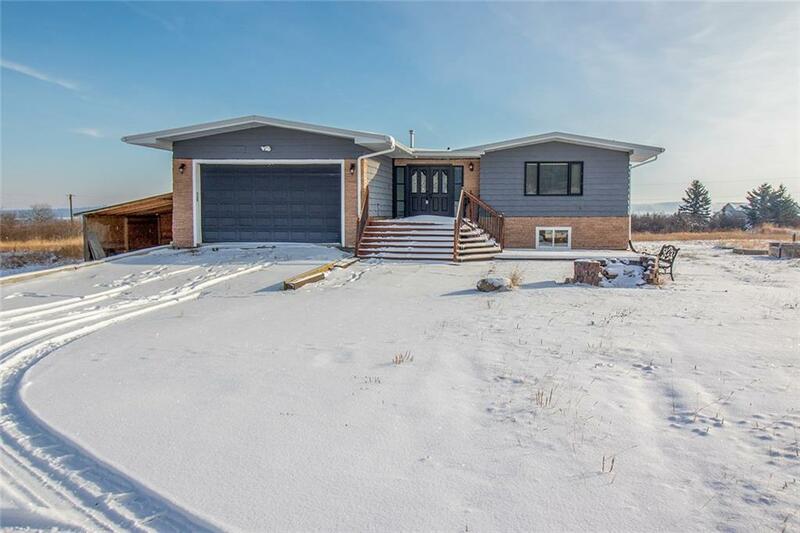 Raised bungalow on 4 acres offers over 2,800sq' of living space and plenty potential upside for a buyer willing to invest into this property!Well-appointed rooms, with open concept Kitchen/Nook/Living Room with access to wrap-around deck. 3 Bedrooms up, including the master Bedroom w/2 -piece ensuite. Lower level showcases 9 foot ceilings, bright sunny windows and plenty of space for further development. An opportunity like this does not present itself very often! The Priddis community offers a culture rich environment in Alberta history, rolling hills & valleys and gorgeous views of the Rocky Mountains to the West! Endless outdoor activities at your fingertips such as world class golfing, equestrian facilities, and hiking trials. 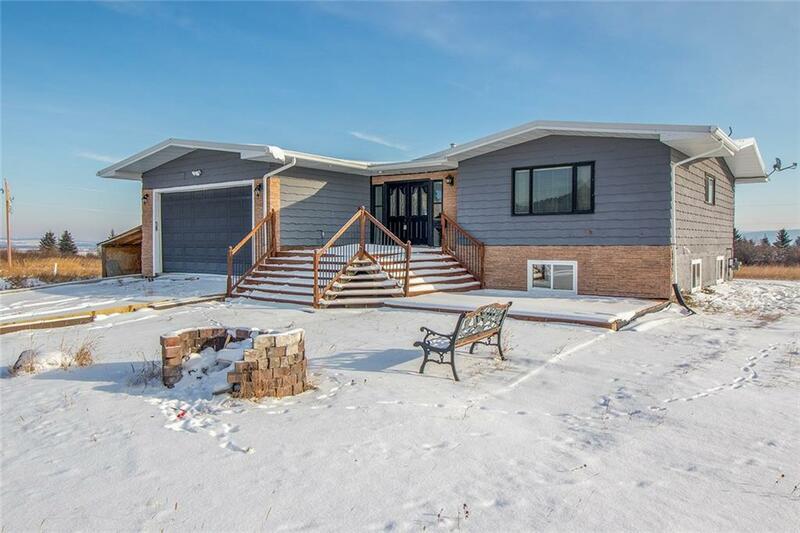 15 minutes commute to SE Calgary & amenities. Another 15 minutes West to Bragg Creek & entrance to Kananaskis Country!